This week I am continuing work on the Dove in the Window Quilt. 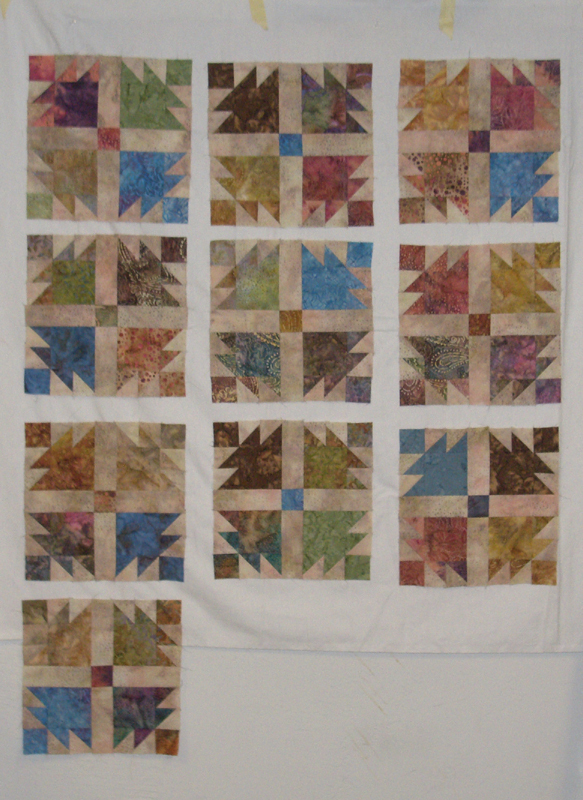 I was able to get all of the blocks finished at our retreat this weekend, and now just need to do the sashing, which is nine blocks and strip sets. Hoping to get to that this week. Below are ten of the twenty blocks that I completed. I just love the fabrics! Ohhh, gorgeous fabrics! This is a very nice looking quilt. What color is your sashing? Do you have a home for this yet, or just making it for fun? The future recipient of this is very lucky! I can't help but love it...it's so beautifully batiky!